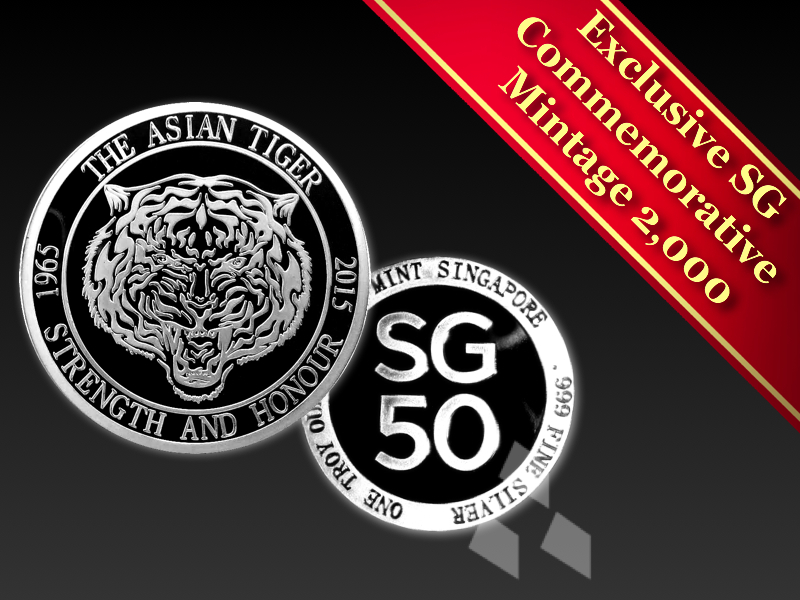 The Asian Tiger / SG 50 medallion is the second in a 3 coin set to commemorate Singapore’s 50th year as an independent nation. 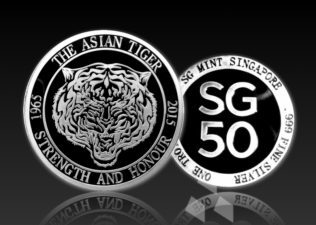 Singapore is known all over the world as one of four “The Asian Tigers.” Singapore was a founding member of ASEAN in 1967 and has since exploded in incredible ferocity and fearlessness to the forefront of wealth and prosperity in ASEAN, Asia, and the world at large. 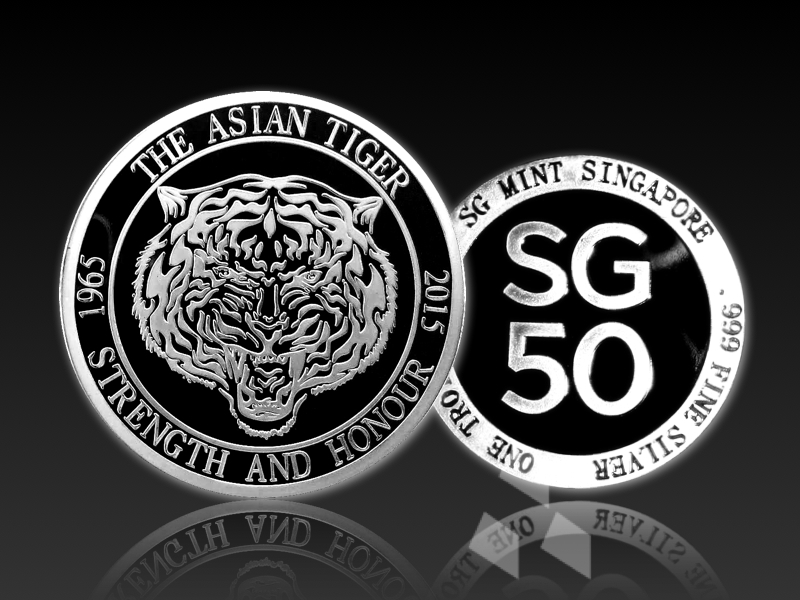 Our amazing rise has been unlike any other and two of the virtues of all Singaporeans that have made us what we are today the strength and honour in each of us. We endured both and good bad, and we did it honour.